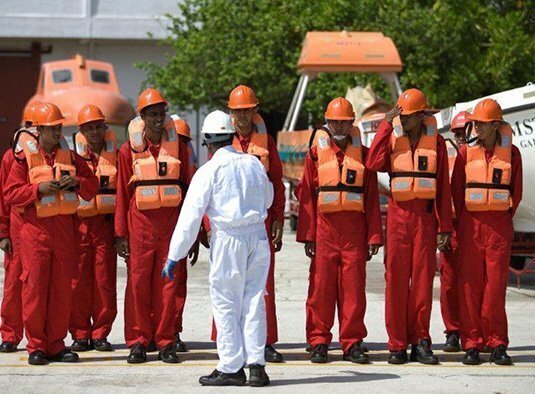 India’s private and public sectors are coming together to promote the nation’s seafarers to global shipping in a bid to close the gap with the Philippines, the dominant resource for global crewing. In association with the Ministry of Shipping, India’s leading shipping associations including the Maritime Association of Shipowners, Shipmanagers and Agents (MASSA), the Maritime Union of India (MUI) and National Union of Seafarers of India (NUSI) have jointly planned a series of road shows described as a “global marketing blitz” in a release today, primarily to interact with foreign shipowners and their representatives residing in countries like Australia, Hong Kong, Singapore, South Korea, UK, Norway, Greece, Japan, the US, and Nigeria. “As the ‘Make in India’ concept mooted by Indian prime minister Narendra Modi inspires capabilities of Indians amongst the stakeholders across the globe, a delegation of Indian maritime stalwarts will travel all over the world over next 12 months to promote Indian seafarers amongst shipowners. We plan to hold such networking events at Indian embassies across continents,” said MUI general secretary Amar Singh Thakur. Skill development has gained traction in the world’s largest democracy with Modi’s vision to create at least 100m new jobs for Indians by the year 2020, as 14m people enter the workforce every year. With an average age of 29 years, India is set to become the world’s youngest country with 64% of its population in the working age group by 2020. The core aim of ‘Make in India’ is to meet the developmental aspirations of its 1.25bn people through proper skilling and employment.